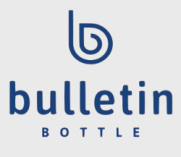 Bulletin Bottle is a hand-curated selection of bulk water bottles. Each of our water bottles are designed to be custom printed with your logo, artwork, or message. There are thousands of bulk water bottle options out there. How do you know which bottle is the best one for your project? We save you time and guesswork because we have already evaluated our bottles based on size, price, durability, and safety. The best of the best are what we present here. We only work with factories who value product safety and social responsibility as much as we do. Choosing to purchase water bottles in bulk for your next project shouldn’t mean a compromise on brand identity. Our bulk water bottles come in colors, styles, and material options to dovetail with any marketing strategy. 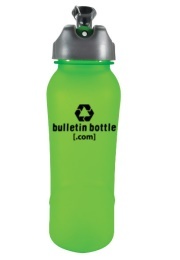 From aluminum to stainless, Tritan to glass, straw spout to screw-off lid; Bulletin Bottle [.com] has custom bulk water bottles in price points for virtually any budget. 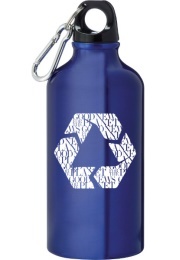 Check out our blog for tips on shopping for bulk water bottles! If you're not sure what material would be best for your custom bulk water bottles, be sure to read our FAQ on different water bottle materials!